New York Representative Alexandria Ocasio-Cortez and Massachusetts Senator Ed Markey released their non-binding Green New Deal resolution Thursday morning; it outlines a vision of the future that’s a lot different from the one we’re in. But the vague scope of the deal is intended to be a feature, not a bug. Believe it or not, the policies that would make up a Green New Deal aren’t actually meant to pass Congress just yet. Gasp! No really, welcome to politics. The resolution serves up two big questions: The less central one is, can House Democrats rally behind this ambitious climate proposal? Remember, Pelosi isn’t running for president, and if this deal ever comes to the table, its proponents are banking on a new president in the White House and Democratic leadership in both houses of Congress. Which brings us to the main question: Can 2020 Democrats throw their support behind this level of bold climate action? With heavyweights like Warren and Harris on board, it’s becoming clear that a progressive Green New Deal will likely be a central tenet of any Democrat’s 2020 agenda. “We’re going to press all elected officials, especially 2020 contenders, to support this resolution. 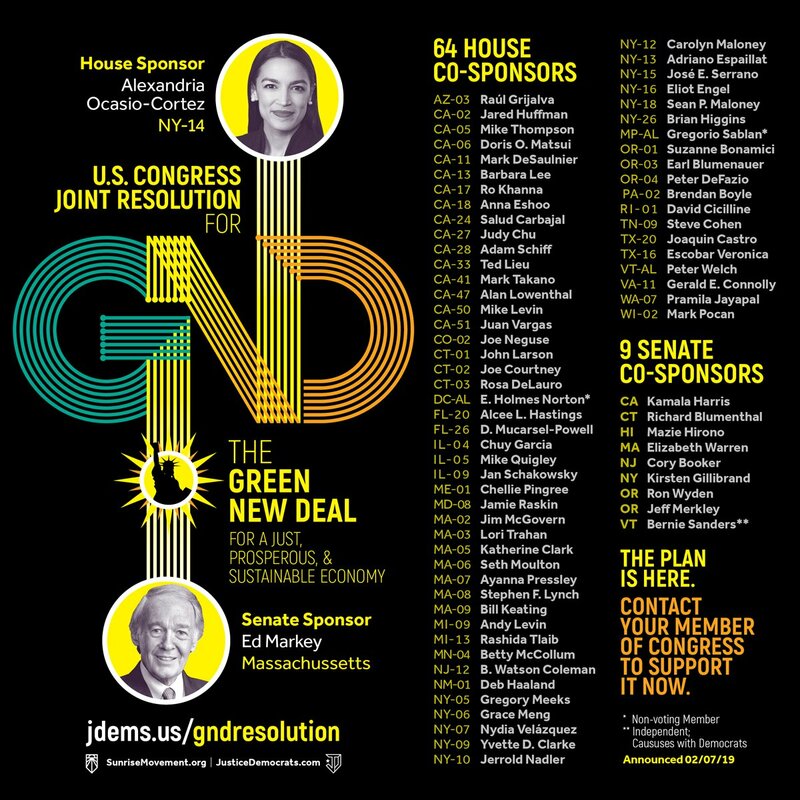 Where they stand on the resolution will make it clear who is using the Green New Deal as a buzzword and who is serious about transforming our economy in line with what science and justice demand,” Stephen O’Hanlon, communications director of the youth-led climate advocacy group Sunrise Movement said in an emailed statement. For the likes of Gillibrand and Booker, signing on now is a quick way to make inroads with parts of the Democratic base. For Warren and Sanders, this proposal is catnip for their supporters. As you can see, this isn’t your run-of-the-mill resolution. We’ll see how many of these ambitious plot points survive the journey through the Washington machine.